Horrible covers: a new contender for Worst. Ever. 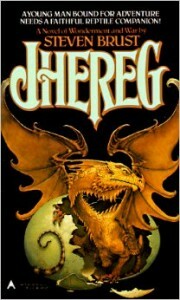 Here is the ORIGINAL COVER of Jhereg. Stephen Hickman did this cover, I believe. 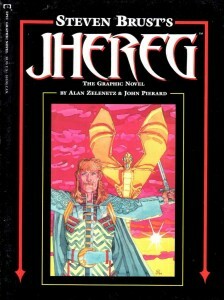 Here is the fairly awful GRAPHIC NOVEL COVER, which I only just happened across. Amazon shows John Pierard as the illustrator, but I don’t know whether he is also responsible for the cover. Maybe someone actually finds this appealing? Hickman’s covers are definitive for me, so I hate it. 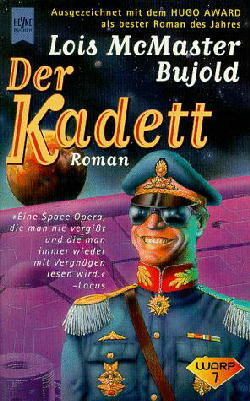 Possibly this appeals to German readers, but it’s hard to imagine it appealing to anybody. I know American and UK covers are often different, but this! The image may be permanently burned into my brain. This is definitely going in my permanent file of truly awful covers. Previous PostThe lighter side of SFF	Next PostHugo nominations for novels: And the final nomination list will be …. 5 Comments → Horrible covers: a new contender for Worst. Ever. My number one contender for the most horrible cover to inflict on a book is the melting psychedelic face the publisher put on Jane Fancher’s Groundties. It’s the middle book of a tightly-linked trilogy (with one long story-arc) but that cover not only doesn’t represent the book’s contents, it doesn’t link it in any way to the first or last book. I can’t find a link to the explanation I once read, about the art department wanting three possible covers to choose from but the artist had two good ones and made the third one no-one would ever go for – and that’s the one the publisher chose! Once the rights of that trilogy reverted to the author she rewrote them and put on good covers that both reflect the contents and link the series, and they’re available again at closed-circle.net – if you like complex psychological hard-sf stories (with a positive end, but much suffering for the hero as a child in the backstory) they are definitely worth reading! I remember liking the Groundties series but also coming into it thinking it was fantasy, as per the cover signalling, as your link discusses. Goodreads tends to put the first one put up there as the primary edition. 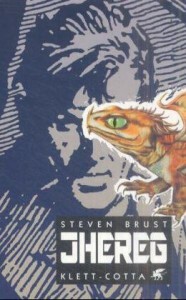 It’s funny–I actually think the graphic novel cover is worse than the German cover. But I agree that everyone should just use the Hickman cover! Jo Walton has an interesting piece on the titles and covers for the different editions of Among Others: http://www.jowaltonbooks.com/books/among-others/thoughts-on-foreign-covers-and-titles/. Linda, I find myself wanting to cry out in horror, NO, YOU CAN’T BE SERIOUS. Well, at least we agree that Hickman covers are the way to go! Mary, thanks for explaining why Goodreads might have put the German cover up as primary. I really could not imagine why they would have done that, but your explanation makes sense.